A Different Perspective: Satelloon - The Roswell Solution? Almost from the moment that I became interested in the Roswell case, people were offering solutions for it. Like most everyone else, I thought that a balloon of some nature would answer the questions about the crash. After the first few days in New Mexico, as Don Schmitt and I talked to various people who claimed some inside knowledge of the case, we were disappointed. It seemed there was less than nothing… and then we met Bill Brazel whose tale matched that he had been telling for years about bits of metallic debris. I mention all this by way of preamble. I didn’t begin believing that Roswell was the crash of an alien spacecraft, but something much more mundane. It was only after talking with Brazel and then many others that my attitude began to change. At the same time, there were those who pushed the idea that it was some sort of balloon. John Keel had suggested a Japanese Balloon Bomb, but that was quickly eliminated given the history of them and the circumstances in which they were launched. The Air Force settled on a Project Mogul array in the mid-1990s and at the risk of continuing a lot of unnecessary discussion that has been going on for years, I’m not sold on that. Documentation provided by the Air Force seemed to rule it out. 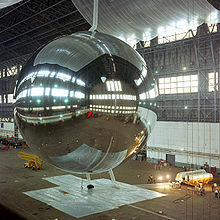 Lately, Dr. Bob Gross introduced us to the Satelloon, which is, basically, a huge, aluminum-covered balloon designed for passive communications. These balloons would be launched into space, inflated, and then radio signals would be bounced off them. This idea was much more cost effective, according to various studies, than using a trans-Atlantic cable for worldwide communications. Of course, in 1947, there had been no artificial satellites launched into orbit. That was ten years away. The idea of something like the Satelloon, however, was one proposed Arthur C. Clarke in the mid-1940s. He is considered the father of the modern communications satellite even though he had no hand in putting the things into orbit. And, of course, science fiction writers have always been on the forefront of scientific thought with visions of trips to the moon, to the planets of the solar system, and to thoughts of communications with alien civilizations to name just a few of the things they envisioned. I have attempted to follow up on this Satelloon idea. I have contacted Dr. Gross, but his response was less than helpful. He said that he would think about my questions and decide if he wanted to answer them. These were such puzzlers as had he reviewed all the information supplied by Bill Brazel, meaning his descriptions of fiber optics and balsa-like material that was so touch he couldn’t get a shaving with his pocket knife. His response suggested he would think about it was dated July 21 but I have yet to hear another word from him. they cooperated in some fashion and other equipment that could be relevant to their research. Had a Satelloon been embedded, there is a good chance that it would have been mentioned, but it was not. Is this proof positive? No. I also note that the Mogul culprit, Flight No. 4, was cancelled according to the available documentation. That would have been launched at dawn on June 4 but wasn’t. There was a launch of a cluster of balloons carrying a sonobuoy later that day, but this was not a Mogul array, according to the documentation available. Charles Moore’s speculative track of Flight No. 4, required it to have been launched at 2:30 or 3:00 a.m., which would have been in violation of the regulations under which they operated. And, given that Dr. Crary noted that it was cancelled at dawn, it means that Moore’s calculations of the path were in error. I mention this only because the track that seemed to take the array in the direction of the Brazel (Foster) ranch is flawed. That means, of course, that whatever fell there did not include a Satelloon. In my research, I noticed a couple of things. I see that there was nothing that suggested a Satelloon was available in July 1947 for testing with the Mogul arrays. The last relevant entry in Gross’s paper seems to be that no BoPET balloons, which were the type of balloon that would become the Satelloon, were available until 1952. Gross’s timeline then drops to the Roswell crash story and to speculation about satellites including Arthur Clarke’s 1945 paper. That doesn’t provide any documentation that a Satelloon was available in 1947. Gross does point to the pictures taken in General Ramey’s office, suggesting they show the remains of a Satelloon. The truth is, the pictures show the remains of a rawin radar target and a neoprene weather balloon. There is nothing in those pictures to suggest the remains of a Satelloon. Gross has suggested that he had other evidence, other documentation that will prove that a Satelloon is responsible for the debris found by Mack Brazel. He has yet to produce it, saying that he doesn’t want to lessen the impact of his upcoming book. This I understand. However, I have found nothing that would suggest that Satelloons were being tested in New Mexico in 1947 and nothing to suggest that they were being tested as early as 1947. The idea was there but the technology had not caught up with the theory. The best I can do is find information on testing in 1952. Until, and unless, Gross provides the documentation, this is a theory that we must reject. If the documentation exists and we can verify its provenance, we have no choice. If the documentation is presented, at that point we can reevaluate the theory. It is hard to believe that if this were the answer, the airforce, in its endless "case closed" attempts to make Roswell go away, would have used it. This is hardly something to keep hiding. Doesn't pass the smell test. Quite right, there is no documentation that 'satelloons' existed in 1947. Nor is there any documentation to show ET craft visited the earth that year (or in any other year). Oh, of course, the latter is still Top Secret because we, the public can NEVER be told the great news, can we? And the absolute mountain of papers on both satelloons and ETs are forever under lock and key. What a frustrating job being a ufologist must be. At the risk of getting off topic, that second pic looks sort of like what Lonnie Zamora described (except of course, I doubt it shoots flame out). Roswell remains an enigma. In 1995 I attempted to meet and speak with Curtis Peebles who I had identified as living in a small community on Palomar Mountain. I had read several of his books, all published by the Smithsonian before 1987. Later he would be called an aerospace historian, but early on he was an AF historian who was given access to classified files, similar to Gerald Haines who is now a NRO historian. Anyway, I didn't get to meet Curtis because according to the suspicious postal inspector who demanded to know why I was asking about him, he'd recently moved from the area to an unknown location. I wanted to speak with Peebles about his early book on the balloon project in which he neglected to mention the early Army tests purportedly conducted during the 1940's and subsequently reported in a later book. The same goes for dummies dropped from high altitude. Now we have Satellons. I'm beginning to think outlandish thoughts, like a crashed Nazi disc recovered at the end of WWII someone tried to fly. Would that have been worth hiding? The idea that the “testing” of a “satelloon” was imbedded in a MOGUL project flight is so stupid on so many grounds that it’s hard to know where to start. This is the kind of idea that makes perfect sense to someone who has a PhD in Music Appreciation, but apparently no training whatsoever in Aerospace Engineering. Gross’ speculation totally ignores the actual history of the Echo balloon project. First, as you point out, the first time the US attained the ability to put anything in orbit (1957) was about 11 years after the Roswell incident, whatever that event may have been. The US had not committed to develop the capability to put something in orbit until two years before that (summer of 1955) when the Eisenhower administration agreed to try to match the Soviets’ apparent commitment to fly an Earth-orbiting satellite during the International Geophysical Year (IGY) in 1957. Shortly after the US decision to develop orbital rockets, various researchers who had been developing sounding rocket experiments turned their thoughts toward how to exploit orbital rockets. 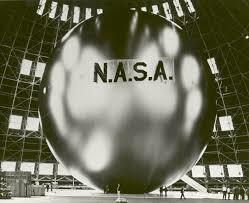 One of those was the NACA (predecessor to NASA) engineer William J. O'Sullivan, who worked at Langley Research Center. He originally conceived of an inflatable orbital balloon as a means of measuring the minute amount of atmospheric drag in Earth orbit. He started designing and building small models (≈ 1 m diameter) in 1956 that he was able to test (with varying degrees of success) in the lab and in sounding rockets. His idea was to put the inflated balloons in orbit and track them with radar signals bounced off them from ground stations in order to measure how quickly they lost velocity due to atmospheric drag. For that, the balloons had to have a highly conductive surface—ultimately, vapor deposited aluminum. As time went by, other researchers, who didn’t care at all about atmospheric drag, got excited by the idea of using orbital balloons to bounce radio signals off of for the purpose of point to point radio communication. The CIA got really excited (albeit secretly) by that prospect since it allowed them to potentially use radio-reflecting orbital balloons to secretly intercept Soviet air defense radar signals hundreds of miles behind the Soviet border. By the time Echo-1 flew (1960) the project had been taken over by the CIA, using NACA as a cover story. A few years later, the CIA used an even bigger version of this technology to intercept Soviet radar signals from anywhere inside the Soviet Union after they bounced off the moon. Neither the rockets capable of launching balloons of this size nor the radio antennas capable of communicating with them, nor the technology of coating the plastic with metal films were in existence, envisioned or planned in 1947. Beyond that, the idea of “testing” a satelloon prototype within a MOGUL project balloon makes no technical sense. What, exactly would be tested? Satelloons are not buoyant; they are not inflated with a lighter-than-air gas. They don’t have the necessary stress points built in to them to either support a load if they were buoyant OR to support their own weight, if they were suspended from buoyant balloons. They are not designed to take the aerodynamic stresses of atmospheric flight. They are designed to deploy only in the zero-g and vacuum of space. A satelloon of sufficient size to be useful as a radar reflector would weigh more than the MOGUL test apparatus. That would mean that the number of lift balloons in the MOGUL train would have to be at least twice as large as if there were no satelloon. That means you couldn’t just add or subtract a satelloon to a MOGUL flight without totally redesigning the balloon train. That would certainly have been noted in the records. Bob Gross’ pattern here is virtually identical to his explanation for the Kecksberg incident; he identifies some technological device that bears a superficial resemblance to the UFO incident he is trying to explain, he puts that device forward as an “explanation” based on pure speculation, and then ignores the actual history of that technological device. In other words, he just makes crap up and then does no reality testing. He is not serious. I hope this not a silly question, but it's one I've been wanting to ask for a long time; what proof is there that the debris found on the ranch was ever airborne in the first place? CommanderCronus..."I hope this not a silly question, but it's one I've been wanting to ask for a long time; what proof is there that the debris found on the ranch was ever airborne in the first place?" The remoteness of the "first debris field" indicates no other feasible alternative. UNLESS... Some unknown fly-tipper with a grudge against Brazel just decided to collect a load of really weird metallic-type strips and dump it there just to irritate the poor bloke. Kevin: Did Mac go out with them,later to conduct an Air search for a second site or not? If he did, then they wouldn't have bothered, for ANY balloon train, or other such items...would they? I would be interested in learning why you discounted the Fugo (Japanese ballon bombs) theory so quickly. For those who are unfamiliar, Japan launched hundreds if not thousands of these devices during the war. They were each equipped with an altimeter and a system of weights. When the balloon dipped below a certain altitude, the altimeter would trigger a release that would drop one of the weights. When all the weights were gone the balloon would release its payload which was an incendiary bomb. Most of these balloons fell and detonated over the Pacific Ocean but a few DID make it to the US and not all detonated as they were supposed to (Keel mentioned one that landed in Hanover, WA. not far from the atomic works there). Lastly, the Fugo Balloons were constructed using Balsa wood and the fabric of the balloon was painted by Japanese school children. John Keel argued these paintings could explain the "flowers" and "hieroglyphics" that were reported by the Roswell witnesses. A thought-provoking aspect in respect to Roswell is that the US government actually censored reports of these balloons for a length of time during and after the war. During the war, the government obviously didn't want to alert the Japanese to any possible success of these balloons making it to the US. But, then after the war, they also didn't want to scare the public that there were un-detonated incedinary devices just laying around in the West. Is it possible one of these devices could have made it as far as Roswell, NM? Possibly. But, it is still intriguing that the description of the materials is similar to the description by the rancher's family. In addition, the Fugo Balloons would have still been highly classified in 1947. Lastly, if Jessie Marcel and others were not briefed on the Fugo Balloons (which is possible), it would explain why he (correctly) identified the remains as not a weather balloon. The last fugo ballons were launched in 1945......these ballons as described hardly had the material strength to circle the globe for two years.....and again, even in war time, these ballons were reported on when found. And there construction was of very low grade materials and worth no security denials. Like saying it was Timmy Johnson's giant kite, and would have started a Soviet kite race. And, no, they weren't highly classified in 1947. The New York Times reported on them right after the war ended. Oh, and when six people were killed by a balloon bomb, the government began a campaign, avoiding the media but using town halls, to warn people of the danger. I covered all of this in a posting a long time ago. Balloon bombs is not the answer, as laid out at length in The Roswell Encyclopedia and in a counter argument to Keel made in Fate. Dismissal wasn't quick but because of comprehension research into the topic. Not to mention the fact that we need to consider explanations that make sense in the context of when the event occured (July 1947) **but also** in the context of what the Air Force put forth in their 1994 official report on Roswell. Regardless of classifications in place in the late 1940's, I should think that few topics from that era would have remained so (short of atomic secrets) in the 1990's. Particularly any balloon-based technology like satelloons or fugo balloon bombs. In short--if one does not accept the Project Mogul explanation (and I don't), then whatever crashed and was covered up in 1947 must **still** be of such import that total secrecy must be maintained. In this scenario, then, of all the potential scapegoats available to writers of the Air Force report, for whatever reason they decided to focus on Mogul/time compressed memories/anthropomorphic dummies as the most believable revisionist explanation (and not satelloons or fugos). Thanks Kevin for your response and elaboration. I actually don't agree with the Fugo explanation either. Aside from some of the logistics, the AF probably would have admitted this in the 90s. Actually, they found Fugos as far as East as Michigan and as far north as Canada. They didn't need to "circle the globe", rather just connect with the jet stream to get to their intended target which was always North America. Many of the ones which made it here (around 10 % of those launched) did crash in remote areas. One was actually found in Canada just a few years ago as example. After hearing about a $3,000 reward (or whatever it was) for anyone who could find and collect a flying saucer, Brazel stumbled upon some old balloon debris from previous Mogul launches — ones perhaps done weeks or days in advance of July 3. Scattered on the desert floor, he picked this junk up and made up a story about it being mysterious and all, and he brought it into Roswell hoping to claim the reward. Maybe this junk had been out there for a long time and Brazel just concocted a story to get the reward. This explains were the material came from — earlier Mogul flights. It also explains why Brazel was held on base for a few days — he was caught trying to scam the Army and a boat load of other people so he was detained. It also explains why his daughter, who supposedly helped collect some, denied it was from a saucer. And why Brazel’s son stood his ground saying it was just to hide the truth and preserve his father’s reputation. It explains why Brazel told people he should never have collected the stuff in the first place, and why he told people he was ordered to be quiet—not because he was, but because he was just covering his own tracks to uphold his story and save his honor. Maybe the rest of the town’s people who claimed involvement never knew what happened, or expanded their story based on Brazel’s comments. Maybe they just wanted to save themselves a bunch of embarrassment for being fooled themselves. And maybe Brazel really did need the money for a new pick up truck, and his scam failed badly — so much that it exploded into something that it wasn’t which mistakenly involved a whole lot of people including the US Army. It certainly explains why he got himself into trouble and where the material actually came from. Brian Bell -- Your "theory" fails to account for the gouge at the Foster Ranch debris field. Your "theory" fails to account for the multiple crash sites seen from the air and described on the ground by multiple witnesses. Your "theory" fails to account for the finding of metal with special properties at the multiple crash sites and which was handled by scores of witnesses. Your "theory" fails to account for Mack Brazel's visit to Wade's Bar in Corona and what transpired there BEFORE he went into Roswell with crash debris. Your "theory" fails on numerous accounts.